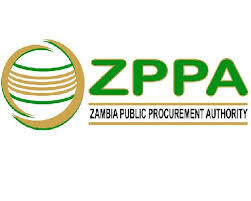 THE Zambia Public Procurement Authority (ZPPA) has suspended two Lusaka-based firms – Budocoro Enterprises and R Phiri enterprises from participating in public procurement in the country. According to circular No. one of 2019 dated January 28, have been suspended but no reasons have been given, at least in the circular. According to a circular of January 28, 2019 signed by ZPPA director general Danies Chisenda, was addressed to all controlling officers and permanent secretaries, all chief executives of parastatals and statutory bodies and all town clerks and council secretaries of local authorities, the two firms had been banned for a year. The suspension, according to the circular, includes any successor in interest which employs or is associated with any partner and directors of Budocoro Enterprises Limited and R Phiri Enterprises Limited. “In exercise of the powers vested in the Zambia Public Procurement Authority by Section 65 of the public procurement Act, No. 12 of 2008 and regulation 167 of the public procurement regulations, 2011, be advised that Budocoro Enterprises Limited situated at plot No. 15864/1080, Kamwala South, P.O Box 222, Lusaka and R Phiri Enterprises Limited situated at plot No. CI, Misisi compound, P.O Box 32517, Lusaka have been suspended from participating in public procurement in Zambia for a period of one year with effect from the date of this circular,” Chisenda stated. He said the addressees were expected to enforce the suspension by ensuring that they did not award contracts to either of the companies nor sell or issue solicitation documents to them or in any other way invite bids from the two companies. Chisenda also advised the bodies addressed not to enter into any other dealings or communications with the two companies except in respect of existing contracts placed prior to the suspension. Chisenda, however, stated that the suspension did not in any way limit either companies from performing outstanding contracts that were entered into before January 28. “Procuring entities shall not enter into any new contracts with the two companies after the date of this circular and during the period the suspension is in force,” he stated. Chisenda further urged named addressees of the circular to see to it that the circular’s contents were implemented and brought to the attention of all staff under their supervision.